So your interest has been piqued, perhaps by some diving friends, and you’re ready to take the plunge (pun intended!) and learn to scuba dive. 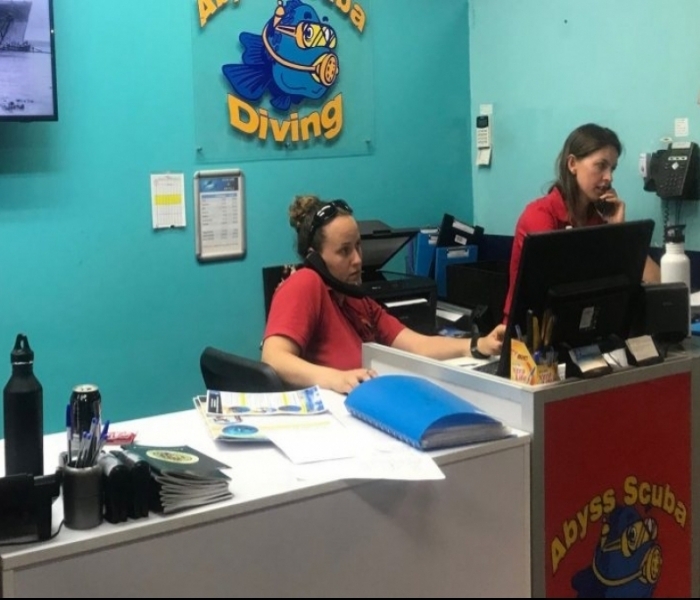 You book your course, your learning materials arrive and you begin to read about the amazing aquatic adventures on which you’re about to embark. Swimming with sharks, playing with seals, exploring wrecks – the underwater world awaits! As you steadily make your way through the book (which is thicker than I… er, I mean you… imagined), you start to feel slightly nervous at the emphasis placed on never holding your breath. Your palms sweat just a little while learning about decompression sickness and blood bubbles. And when you first take a look at the PADI Recreational Dive Planner, you feel like you’re back in your high school maths class… Never fear newbie diver! Your dive instructor knows that you’ll more than likely be a bit nervous (you’re about to breathe underwater, after all!) and they have the tools and experience to guide you on your aquatic adventure! You’ll learn in a controlled environment where you’ll practise a bunch of situations that can occur while diving. This way, should they happen out in the ocean, you’ll know what to do – without panicking! Mask knocked off? Pffft, let me just pop that back on. Running low on air? Please, I’ll just signal my buddy to give me their spare regulator. Easy-peasy. If you can, learn with a friend because it makes the whole experience a bit more relaxing. Of course, even if you don’t, you’re bound to make new friends on the course. When you’ve finished your course and are about to undertake your first non-training dive, it’s also worthwhile to buddy up with a more experienced diver to ease the nerves a bit. 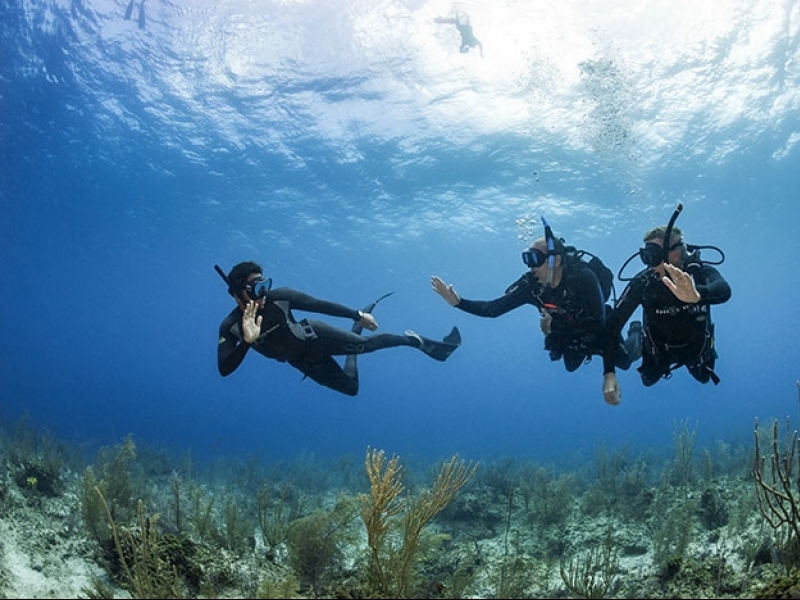 Finally, here’s some advice from a newbie to make your dives a little easier. When you buy your first mask, listen to the dive shop when they tell you to use toothpaste to scratch off the thin layer of silicone that accumulates during the manufacturing process. Why? Well, if you’re like me and think, “I’ve just spent over a hundred bucks on this mask, why would I want to put toothpaste on it?”, then you’ll have very limited visibility during your dives – trust me! That silicone film is impervious to any anti-fog measures, so if you don’t rub it off with toothpaste, by the end of the dive there’ll just be a tiny corner of clear glass for you to peer through! The rest of your mask will look like Leo and Kate in the back of that car in Titanic. Fins come with fin-shapers inserted inside so that they look good in the shop. Don’t swim with these in. This one seems pretty self-explanatory, but it’s amazing how many people forget to take them out (at least that’s what I tell myself). 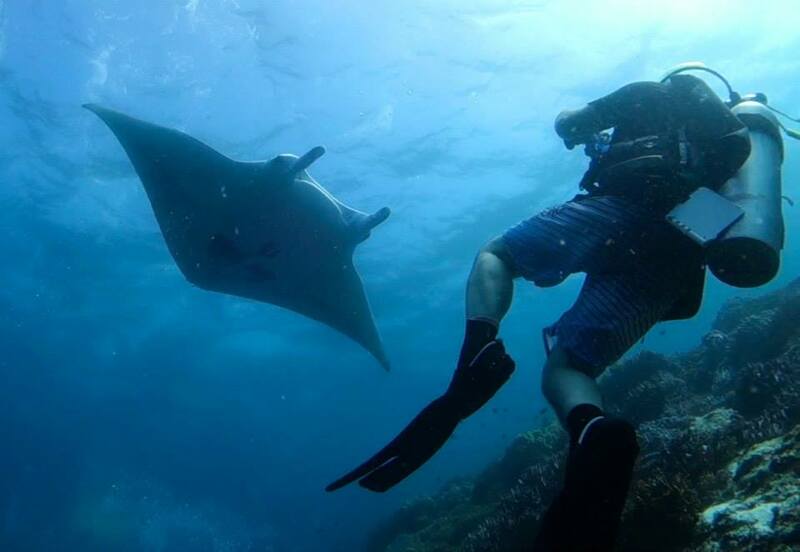 It’s hard at first, but while diving, try not to flap your arms up and down like a hummingbird. Believe me, you’ll use up a lot of energy! Buoyancy control takes practice, but you can improve your skills by undertaking the PADI Advanced Open Water Course when you’re ready. There’s nothing quite like taking that first breath underwater. Seemingly so unnatural, except in our Disney dreams. It’s where the undersea addiction begins! What mistakes have you made?